WASHINGTON (AP) — Americans like the idea of “Medicare-for-all,” but support flips to disapproval if it would result in higher taxes or longer waits for care. That’s a key insight from a national poll released Wednesday by the nonpartisan Kaiser Family Foundation. It comes as Democratic presidential hopefuls embrace the idea of a government-run health care system, considered outside the mainstream of their party until Vermont independent Sen. Bernie Sanders made it the cornerstone of his 2016 campaign. President Donald Trump is opposed, saying “Medicare-for-all” would “eviscerate” the current program for seniors. The poll found that Americans initially support “Medicare-for-all,” 56 percent to 42 percent. However, those numbers shifted dramatically when people were asked about the potential impact, pro and con. Support increased when people were told “Medicare-for-all” would guarantee health insurance as a right (71 percent) and eliminate premiums and reduce out-of-pocket costs (67 percent). But if they were told that a government-run system could lead to delays in getting care or higher taxes, support plunged to 26 percent and 37 percent, respectively. Support fell to 32 percent if it would threaten the current Medicare program. “The issue that will really be fundamental would be the tax issue,” said Robert Blendon, a professor at the Harvard T.H. Chan School of Public Health who reviewed the poll. He pointed out that state single-payer efforts in Vermont and Colorado failed because of concerns about the tax increases needed to put them in place. Several independent studies have estimated that government spending on health care would increase dramatically, in the range of about $25 trillion to $35 trillion or more over a 10-year period. But a recent estimate from the Political Economy Research Institute at the University of Massachusetts in Amherst suggests that it could be much lower. With significant cost savings, the government would need to raise about $1.1 trillion from new revenue sources in the first year of the new program. House Budget Committee Chairman John Yarmuth, D-Ky., has asked the Congressional Budget Office for a comprehensive report on single-payer. The CBO is a nonpartisan outfit that analyzes the potential cost and impact of legislation. Its estimate that millions would be made uninsured by Republican bills to repeal the Affordable Care Act was key to the survival of President Barack Obama’s health care law. Mollyann Brodie, director of the Kaiser poll, said the big swings in approval and disapproval show that the debate over “Medicare-for-all” is in its infancy. “You immediately see that opinion is not set in stone on this issue,” she said. Indeed, the poll found that many people are still unaware of some of the basic implications of a national health plan. For example, most working-age people currently covered by an employer (55 percent) said they would be able to keep their current plan under a government-run system, while 37 percent correctly answered that they would not. There’s one exception: Under a “Medicare-for-all” idea from the Center for American Progress employers and individuals would have the choice of joining the government plan, although it wouldn’t be required. 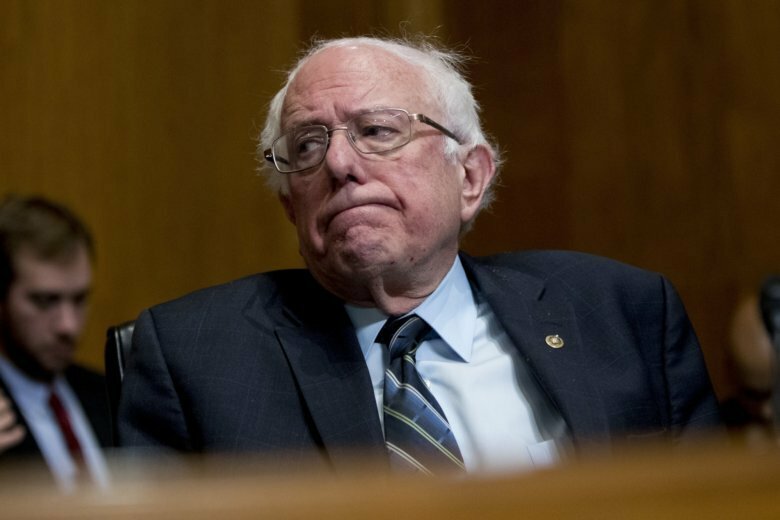 Sanders’ bill would forbid employers from offering coverage that duplicates benefits under the new government plan. “Medicare-for-all” is a key issue energizing the Democratic base ahead of the 2020 presidential election, but Republicans are solidly opposed. “Any public debate about ‘Medicare-for-all’ will be a divisive issue for the country at large,” Brodie said. The poll indicated widespread support for two other ideas advanced by Democrats as alternatives to a health care system fully run by the government. Majorities across the political spectrum backed allowing people ages 50-64 to buy into Medicare, as well as allowing people who don’t have health insurance on the job to buy into their state’s Medicaid program. Separately, another private survey out Wednesday finds the uninsured rate among U.S. adults rose to 13.7 percent in the last three months of 2018. The Gallup National Health and Well-Being Index found an increase of 2.8 percentage points since 2016, the year Trump was elected promising to repeal “Obamacare.” That would translate to about 7 million more uninsured adults. Government surveys have found that the uninsured rate has remained essentially stable under Trump.